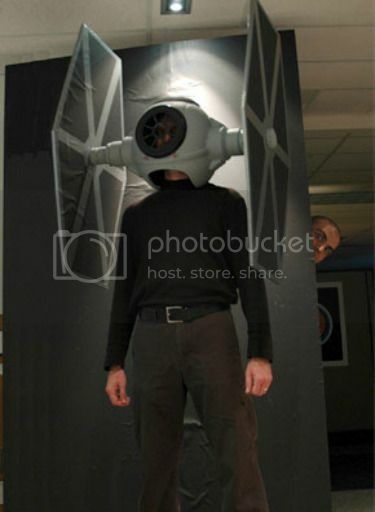 I’d love to tell you more about this Star Wars TIE Fighter costume, but I found it via WTFcostumes, a blog more likely to procreate with a Nav’i from Avatar than to give any attribution to a source. They do know how to watermark the hell out of a photo that doesn’t belong to them, though. So, “crop” is my friend. I apologize to those of you who wanted to see this gentleman’s lower shins. Gotta love the ol’ brown-on-black no-no. A true nerd never matches. Next post: Wasn’t I Just on Vacation a Week Ago?